The co-creators of DOOM have canceled their Kickstarter for holographic FPS Blackroom after just four days in order to work on a demo. If you can’t wait for a return to the golden age of first-person then we suggest checking out the best FPS games that actually exist already. John Romero and Adrian Carmack have ‘paused’ the crowdfunding effort after raising $131,052 of the $700,000 goal in order to create a playable demo. “After listening to the gaming community since we’ve launched the campaign, we’ve decided to give you what you’ve asked for: a gameplay demo of Blackroom,” the pair said in a Backer-only update before canceling the drive. Despite making almost a fifth of the overall funding goal in the first four days of Blackroom’s Kickstarter campaign, pledge rates had vastly fallen off after a strong opening day. According to Kicktraq, the project would have required a daily income of $20,320 to succeed before the May 27 funding window closed. In the two full days prior to cancellation, Blackroom took in $11,895 and $7,192 respectively. 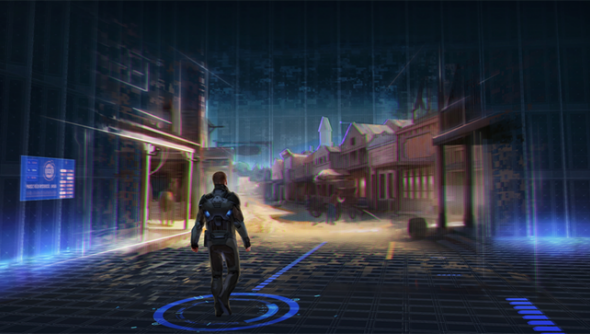 As the game was not in any stage of development to showcase gameplay or even prototype footage, there was little material left to release and keep Blackroom on the radar after its initial announcement. Perhaps after seeing that the reveal wasn’t enough to carry it across the finish line, Carmack and Romero decided to do a little more prep work for the campaign.